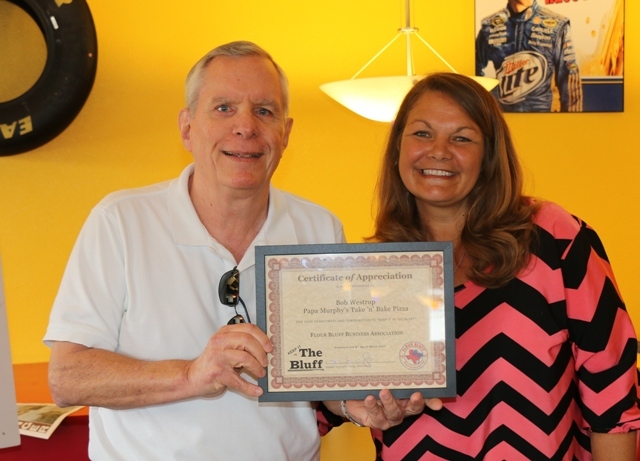 FBBA President Jennifer Welp awarded Bob Westrup, owner of Papa Murphy’s Take ‘n Bake Pizza the FBBA Spotlight of the Month Award at the regular noon meeting held March 8, 2017, at Funtrackers’ Speedway Cafe’. 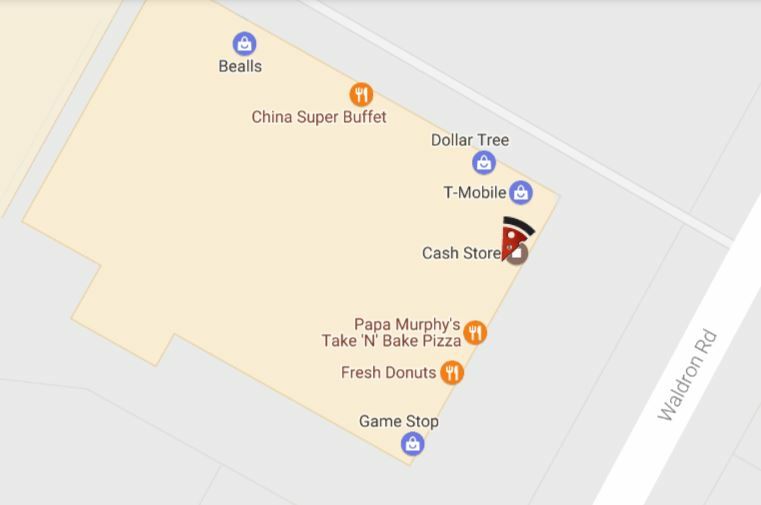 Papa Murphy’s is located in the shopping center at 10241 South Padre Island Drive facing Waldron Road. Wastrup thanked Welp and the Flour Bluff Business Association for all that they do. Specializing in scratch-made dough, freshly shredded, 100% whole-milk mozzarella cheese, and fresh veggies, Papa Murphy’s has a little something for everyone. To see what they have to offer, visit the Papa Murphy’s website or pay a visit to the Flour Bluff site where you will more likely than not, see Bob hard at work behind the counter.